Explanation: Why would a cloud appear to be different colours? 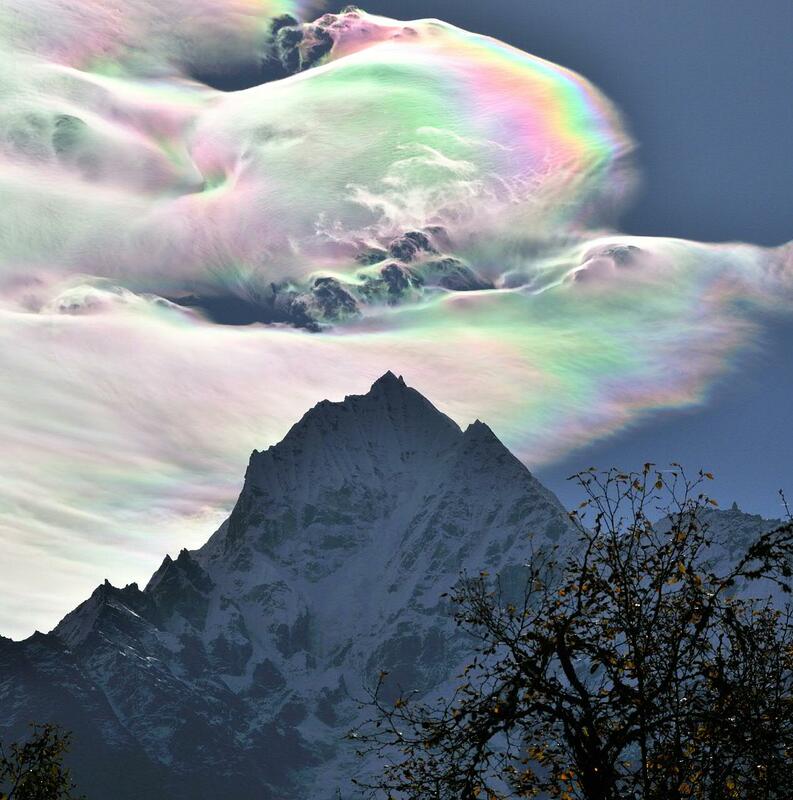 A relatively rare phenomenon known as iridescent clouds can show unusual colours vividly or a whole spectrum of colours simultaneously. These clouds are formed of small water droplets of nearly uniform size. When the Sun is in the right position and mostly hidden by thick clouds, these thinner clouds significantly diffract sunlight in a nearly coherent manner, with different colours being deflected by different amounts. Therefore, different colours will come to the observer from slightly different directions. Many clouds start with uniform regions that could show iridescence but quickly become too thick, too mixed, or too far from the Sun to exhibit striking colours. 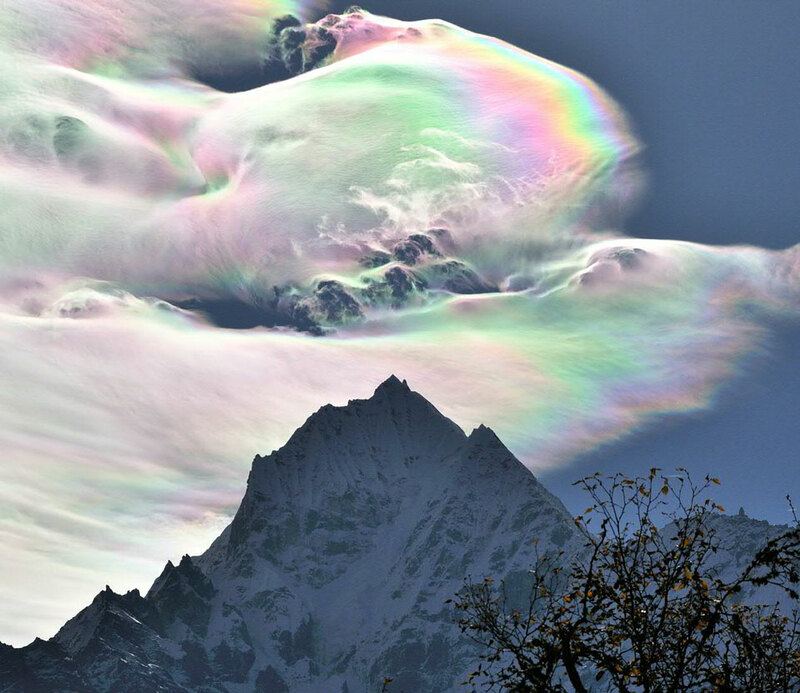 The above iridescent cloud was photographed in 2009 from the Himalayan Mountains in Nepal, behind the 6,600-metre peak named Thamserku.